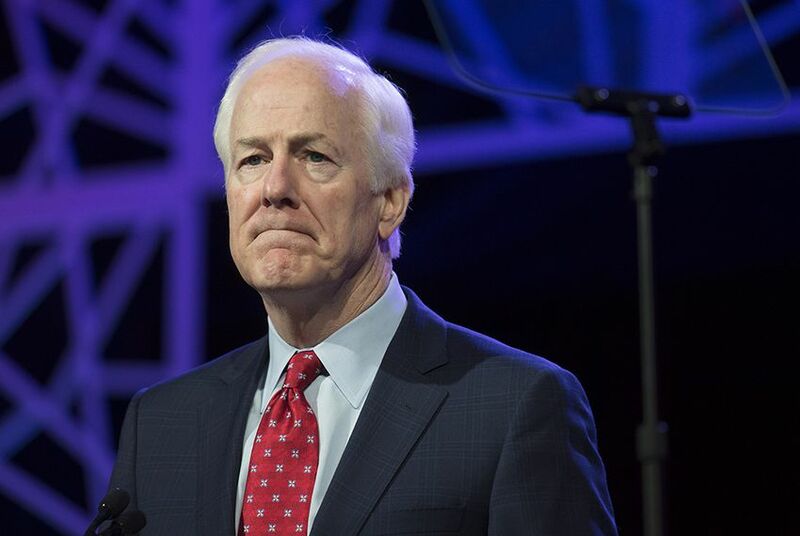 Days after five police officers were killed by a lone gunman in downtown Dallas, U.S. Sen. John Cornyn, R-Texas, introduced legislation Wednesday that would make killing a police officer a federal crime. Days after five police officers were killed by a sniper in downtown Dallas, U.S. Sen. John Cornyn, R-Texas, introduced legislation Wednesday that would make killing a police officer a federal crime. Someone who killed or conspired or attempted to kill a public safety officer, a federally funded law enforcement officer or a federal judge would be eligible for the death penalty as well as a mandatory minimum 30-year-sentence for murder and 10 years for attempted murder, according to Cornyn's office. The bill also would create additional federal crimes for fleeing a state to avoid prosecution for such offenses or for assaulting an officer. U.S. Sens. Ted Cruz, R-Texas, and Thom Tillis, R-North Carolina, are cosponsors of the bill. Lone gunman Micah Xavier Johnson, 25, opened fire on Dallas law enforcement Thursday night, striking 10 Dallas Police Department officers and one from the Dallas Area Rapid Transit Authority and killing five. Johnson launched the ambush during a Black Lives Matter protest of recent fatal police shootings of black men in Louisiana and Minnesota. Cornyn's bill also would expand the use of federal grants aimed at improving relations between law enforcement agencies and the communities they protect; allow officers to carry firearms in federal buildings and other places where they are currently prohibited; and place limitations on the appeals process for convicted murderers of police officers. Obama, former President George W. Bush and local leaders spoke Tuesday during a tribute to the officers at the Meyerson Symphony Center in Dallas.